Despite its long tradition of fighting for freedom, Bolivia was the last South American county to obtain independence from Spain with the surrender of the royalist forces in 1825. 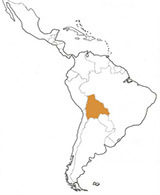 From 1836 to 1839, Bolivia was part of the short-lived Peruvian-Bolivian Confederation. An alliance known as the United Army Restaurateur (Ejército Unido Restaurador) and composed of Argentina, Chile, as well as Peruvians who were opposed to this project, put an end to the Confederation in 1839. No helmets were worn by any soldiers during this period. Following the Pacific war of 1879-1883 and the brief Acre conflict of 1904, Bolivia lost a large part of its territory and its access to the sea at Antofagasta. During this period, the prestigious military unit known as the Colorados of Bolivia Regiment (Guardia de Daza) used French-made cuirasses and helmets. In 1911 with the arrival of a German military mission in La Paz, German influence replaced the French, and the Pickelhaube of various types became the prestige headgear of officers and non-commissioned officers alike. The Bolivian police also used its own version of the spiked helmet. Beginning in 1921 the German M16 and M18 helmets were imported and tested, but as they were too heavy for the tropical climate and altitude, they never won general acceptance. Another unfortunate event, the Chaco war (1932-1935), during which only jungle hats were worn, resulted in further territorial losses for La Paz. As the Second World War approached and with American influence on the rise, the US M1917-A1 was officially adopted in 1941). No special emblems were worn on these helmets. During the same period, other foreign models were tested but not put into service, probably for budgetary reasons. In the 1950s the Bolivian Army, impressed by the exploits of the German military, purchased a large quantity of surplus M35 Polizei helmets. Painted black and decorated on the side with the colors of the country, they became standard issue in the Bolivian Army. 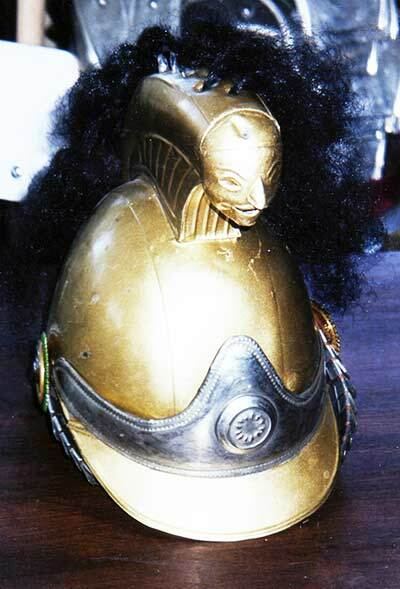 These helmets were known locally as the M34 and were considered to be prestigious by the military. The US influence reemerges in the 1960s, and under the presidency of General Jose Barrientos the US M1 was introduced in 1964. At the beginning the side emblem was retained. In the 1980s, these aging, heavy helmets were gradually replaced by Korean and Brazilian lighter M1 clones. However, no emblem was added. Beginning in the 1990s PAGST models began appearing, but surprisingly, the popular M34 is still in use today for special events. Tank crewmen have generally used US headgear, and currently the CVC T56-6 is the most popular model.